Embarking on the path of becoming a household name, rapper KF Greatness has unleashed a slew of material that is not only comparable to today’s top rappers but sketches out his own monument of originality that stands next to none. Straight outta Pine Bluff, Arkansas, KF Greatness is steadily proving to be rap music’s diamond in the rough. His flow is impeccable with bars that can imprison even the coldest of hearts. In the tradition of masculine bravado, here we have an emcee whose lyricism has the same aura as Kendrick Lamar and he speaks in complete sentences like Ghostface Killah. What more could you ask for? Humbled Recognition. Humbled Recognition is the latest offering from KF Greatness. Every song that I’ve listened to on the album will keep you in step with the trenches. KF Greatness’ unrelentless focus is the source of the intensity felt on the project. His consistent approach opens the window ceil for listeners to experience the gritty sides of life without leaving their homes, which can be seen in the track review of Humbled Recognition. Ride – KF Greatness wastes no time going in on this downbeat track with a fierce linguistic cadence that covers all aspects of the song’s theme, loyalty. The Field – A clever title for a track about betrayal and whose street credibility is illusionary or real. Listeners can hear the passion in KF Greatness’ words, which puts him on the real side of the fence. Honest (feat. NoLove) – This is a chilling collaboration that features the expertise of NoLove, who lights up the musical landscape with some choice words. KF Greatness supplants a theme of integrity and just being real about things as they are that is clear and honest. Red Beam – A killer track that brandishes a moist piano riff. KF Greatness paints a dark picture about the red beams point of the target. How You Steppin – Another reality check from KF Greatness, who walks over the weak at heart with a killer rhyme, case in point. Pikachu – The musical landscape behind Pikachu is fabulous as it proves to be one of the gems on Humbled Recognition. KF Greatness steps to the throne with the romantic jargon about a young lady who catches his attention. Curious – Addressing the exploits of fake friends, KF Greatness commences to paint a picture of an all too familiar scenario of non-believers who’ve become believers when it’s too late. Curious stands as one of KF’s best offerings. 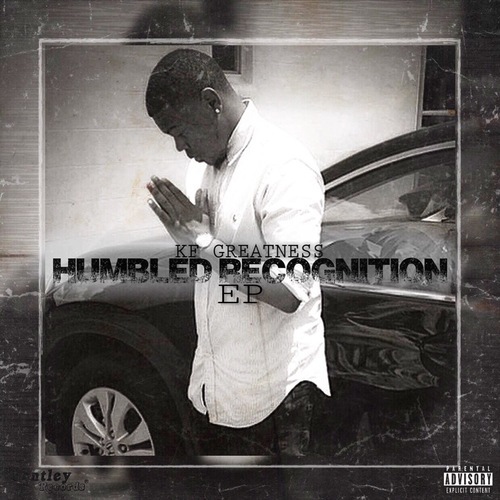 Steady Grindin – Another jewel from the Humbled Recognition album, KF Greatness raps about the struggle of coming up and the work ethic needed to survive over an enchanting beat. Humbled Recognition is a classic. This well-perfected musical journey is a gripping display of the genius that KF Greatness humbly embodies. Everything is going to be alright now that the streets are talking.